I’m thinking this drink is supposed to give you a kick. It’s strong. It’s interesting to mix two spirits that I like quite a lot, rum and calvados (or applejack), but it certainly doesn’t put any effort into covering up the fact that this is just a bunch of straight liquor mixed together. This is a strong, dry drink. I have to say that I don’t really see the appeal of this one. 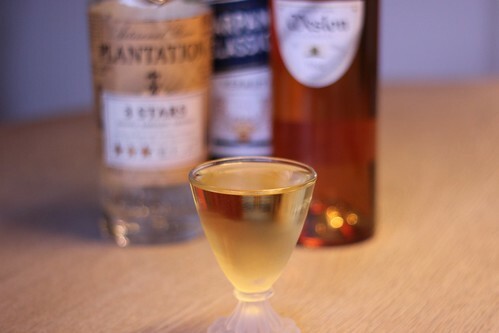 The vermouth isn’t present enough to really give the drink very much character, as with a Martini or Manhattan, so it’s really just drinking rum and calvados together. It’s OK, but not something I’d probably come back to.